Many gifted girls and boys find the gifted label stigmatising, and go out of their way to dodge the dreaded nerd status. Would these children be better off in specialised school environment? The gifted education community is sharply divided about this issue with some educators perceiving that the specialised school environment is the ideal setting for gifted children, whereas others believe that they would be better off in the regular school milieu. Gifted children generally perform better academically in the specialised school environment. The debate that rages is about their social and emotional wellbeing, with some educators believing that the specialised environment allows gifted children to thrive, as feelings of difference are diminished. On the other hand, those educators supporting the regular school setting for gifted children believe the specialised setting negatively impacts self-esteem, which ultimately can affect some gifted children’s academic performance. I decided to look at what happens at primary school level for gifted children. What is it like for primary aged gifted girls and boys attending schools that purposefully cater to their unique academic needs? Are they able to reveal their true identity or do they still need to mask their atypical ability to gain peer acceptance? Do gifted role and gender messages still apply? It should be noted that in Australia at primary school level we still generally require the gifted child to socialise with same aged peers. Instead of taking the outside researcher’s view, this study used a phenomenological framework which allowed the gifted children to voice their own perceptions about what these types of school environments did and did not provide. While the experience of daily challenge was found to be important to the talent development process, on its own it was not enough to prevent some of the gifted children in this study from masking their giftedness. The social context, which included the gender culture of the school, was found to play a pivotal role in the types of social and emotional outcomes they created. Schools that adopted a flexible attitude to gender allowed not only for academic success in a variety of areas, but removed the fear of stigmatisation by peers. Importantly, gender expectations played a key role in the participants’ perception of what made a student popular or how they should behave on the playground. For example, gifted boys attending primary schools with social contexts that supported one type of male gender identity tended to prise athletic ability above all else. In this type of school the athletic boys or jocks held sway on the playground, while the academic boys occupied the lower rungs of the playground hierarchy. Gifted boys in this type of social context were generally confined to the wall ball court, which was a game deemed not to require much skill or athletic ability. Schools that did not accept this type of traditional male stereotype and offered boys other lunch time pursuits other than sports, such as spending time in the computer room, library or robotic club, were more likely to have a positive social context. Gifted girls on the other hand that attended schools that offered them gifted programming, but generally supported stereotypical females roles, described the Girly girls (girls interested in fame and fashion) as attempting to hold power on their playgrounds. While it is well known that gifted children face these types of gender stereotypical roles in the high school setting and sometimes mask their ability in order to adhere to them, it has been generally believed that this process did not occur before adolescence. Although not well researched, it was also generally believed that gifted children could be well supported in the talent process in schools that provided them with challenging curriculum. This study, however, demonstrates that challenging curriculum alone does not support the talent process and that the social context of the school needs to be carefully considered. Schools could endeavour to create optimal social contexts by working towards meeting the affective needs of their students. The acceptance of difference through the promotion of diverse gender roles, as well as an awareness of the role the “new media” plays in the promotion of stereotypical gender identities. 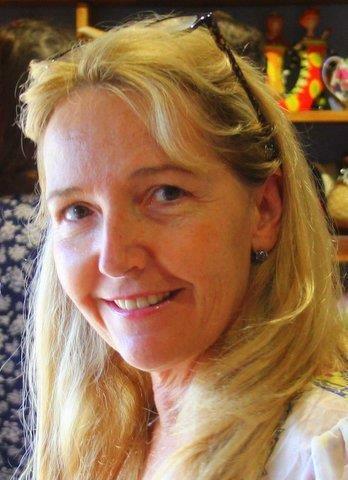 Katrina Eddles-Hirsch is a Senior Lecturer in Education at the University of Notre Dame, Sydney. Katrina currently teaches undergraduate primary, secondary & post doctorate students in Inclusive Education. Her research interests include the social and emotional development of gifted children, gender research and the twice exceptional student. This blog post is based on the research paper Girly Girls, Tomboys, Athletes and Nerds: A phenomenological study of social context in the specialised school environment (2013) published in the Scottish Journal of Arts, Social Sciences and Scientific Studies, 17 (1), 88-101.